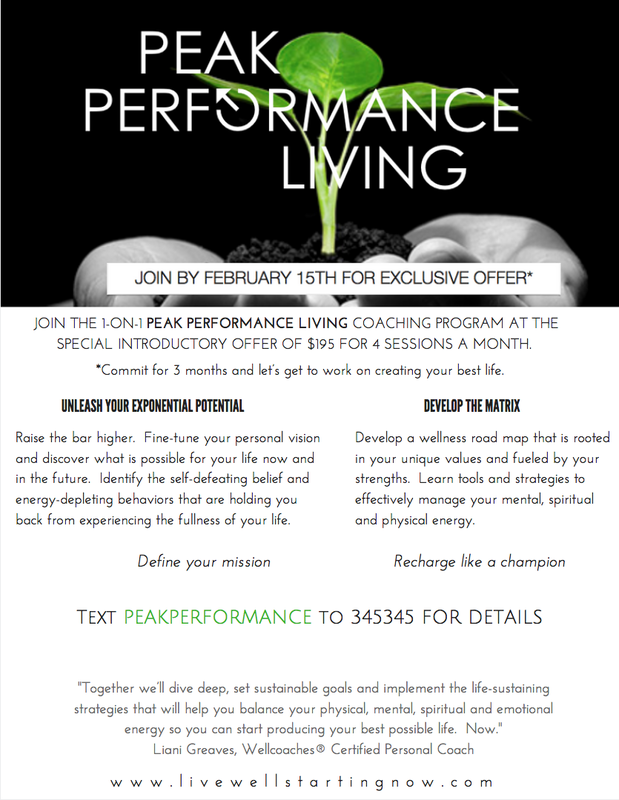 PEAK PERFORMANCE — Live Well. Start Now. Sessions are 45-50 minutes and available by phone or video conferencing and on occasion for those based in NYC, in person at my home in the Lower Hudson Valley. Discovery Consultations are generally 70-90 minutes and are complimentary. READY TO GET STARTED? Drop me your contact info below and I'll get right back to you.